FORMER US President Bill Clinton never asked Fleetwood Mac if he could use one of their songs for his election campaign, it's been revealed. 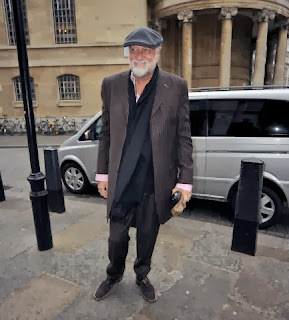 Drummer and co-founder of the band, Mick Fleetwood, has admitted that the group never received a call from Clinton regarding the use of their hit 'Don't Stop,' but that they actually didn't mind that he had chosen it. "I think we were fine with it," the 66-year-old star told Absolute radio in an exclusive interview. "The only person who, in a comedic sense, John is not politically connected to Bill’s side of the fence, everyone else happened to be a supporter of the Democratic party to whatever avail that might be. It was a form of flattery, the highest form." Fleetwood Mac are currently in Europe on their world tour, and last week played several nights at London's O2 Arena. The group are clearly loving being back on stage together, and last Friday were joined onstage by former band member Christine McVie - who actually wrote 'Don't Stop' - but Mick isn't entirely sure when a new album will be on the cards. "I think it is too early to say that is what is happening," he told the radio station. "Do I aspire, and I can speak on behalf of Lindsey who truly aspires to the dream of, I think it would be a really lovely. "This door is closing at some point. I don’t know whether it is five years or seven years or it could be eighteen months, but I hope that whenever that happens that it is done gracefully, and I hope that we show people, not for commercial needs at all, because it is not about and we probably wouldn’t anyhow, but just the fact that we have made an album I think would be really important before the thought of closing the shop down, whenever that might be. "I aspire to that, and I applaud the thought of that happening," he added. Listen to the full interview on Absolute Radio’s Sunday Night Music Club on October 13 from 10pm here. It appears a new Fleetwood Mac album will only happen if Stevie gets on board. If Mick and Lindsay want to do a new Mac album, they should hire Dave Stewart to co-produce. it wouldn't take much to convince Stevie to do a Mac album if Dave was producing it. Stevie outright said that the next Mac album she does she wants Dave Stewart on the project. 5 years? 7 years? They all need to get a grip and realize they are OLD PEOPLE. If they want to do a record they need to get on that now. Then again, if it's anything like Say You Won't and that dreadful and EP they can take as long as they want. SAY YOU WILL is a fantastic 11 song album with 7 additional B-side grade clunkers that should have been left off the CD. As good as the good is on this CD, the clunkers are terrible and blemish the overall project so much that people make a joke of the name (Say You Won't). Reminds me of a friend who, after hearing "Street Angel", calls it "Dirt Angel" because like "Say You Will", it suffers big-time from the clunkers that were included in the CD. Burn a CD-R with the good songs from "Say You Will" and you will hear a very good and catchy sequence of pop tunes. I love almost all of Say You Will, the EP is dull and if Dave Stewart knocks all the rough edges off of a FM album like he did the disappointing In Your Dreams then it will be a dud as well. Can anyone see Lindsey co-producing with him? Seriously? Well on another note, that's why i love John! Say you will, is not a bad Cd at all I think its pretty good, lets face it if you are waiting for another Rumors cd it not going to happen. Those kinds of albums come once in a lifetime time. They here negative comments and it discourges them for wanting to do it for their fans. So if you are a real fan then you would except any new art that they will make at this point of there careers.It will come out great. As for Lindsey having Dave as a co producer, I totally agree that not going to happen we will not have a new album with dave doing that.i don't see that happening either. I mean In your dreams is great and dave did a great job with it but Lindsey is more than capable of making great music with stevie's songs for fm. even those stevie wants that Lindsey not going for that one and i think stevie knows that. I think the result could be very interesting. The real dud would be not to get a new Mac CD at all. The one element Dave can deliver to a new Mac CD is the one element Lindsey can't: Stevie Nicks. Without her, SAY YOU WILL will be the Mac's final full-length LP. I have been a Fleetwood Mac fan for 35yrs. But if they would do another Album and its the Lindsey Buckingham show case like the EP. Please, just skip it. I prefer Stevie in solo form. She feels more like herself. I've said this many times: I had no idea how special "IYD" was until it was over. Now it feels like there's this big, empty space because it just felt so genuinely "Stevie" during that period. From the moment people started saying she was back in the studio to standing in line at the premiere of the documentary, those two years were magical for me - and probably all of us. But I also know it'll never happen that way again. It was so special for Stevie to invite us into her home and let us take a look behind the curtain as she recorded her album, albeit the documentary was pretty glossy and highly edited - it was still amazing to be with her in her house and element. So, do I care if there's another FM album? No - not unless Christine is involved. I would much rather Stevie finally bow out and spend the rest of her time on her solo material. Her solo work has always seemed so much more important to her, imo. If there's another, last FM I don't want Dave Stewart to produce it - not because he didn't do a great job on IYD, but because I want the sound to be quintessential FM. As for SAY YOU WILL, I really don't understand the negativity. It's a great album that the band can be proud of. Yes, I too skip over certain songs but you expect that in a double album. It just sounds different because it was made in a different era and Christine's gone. I think it's a brave and daring record and it its best it matches the best of the past. SYW has a chilling loneliness about it (DESTINY RULES, SAY GOODBYE) that's hard to describe. To be more specific about SYW - cut MURROW, ILLUME. COME, MIRANDA, SILVER GIRL and GOODBYE BABY and you've got a comeback album every bit as tight as RUMOURS. It's not that I necessarily dislike all of these songs, but they're non-essential. I saw Fleetwood Mac at the St. Paul stop of the current tour and the band sounds much better live today than they did in 2009 or 2003/2004. I feel like the three years (2010-2013) she spent recording/promoting/touring for 'In Your Dreams' really energized Stevie and made her really want to go back to Fleetwood Mac. However, as amazing as this tour has been I'm ambivalent on another Fleetwood Mac record. I really enjoyed 'EP,' and I wouldn't mind more "EP" releases from the Mac as long as there's an equalized Stevie presence to compliment Lindsey. I really enjoy 'Say You Will' - now. I did not at first. For years it sounded like two solo records smashed together with too much Lindsey Buckingham production. Lindsey is a musical genius for sure, but Christine's absence from 'SYW' really underscored how much her musical sensibilities balanced Lindsey out. 'SYW' is also too long. While I now enjoy the entire record - even the bonus tracks - it's too long. 'IYD' was the perfect length at fourteen tracks, and I feel like even if Christine McVie decided to record with the Mac again, that album should not be more than 12-14 tracks. To this day when I listen to 'SYW' I can hear where Christine SHOULD HAVE BEEN. Yes, she retired from performing and I respect her decision to do so. The woman most certainly paid her rock n' roll dues many times over. That record has a lot of quality Mac tracks, and some really great songs by Stevie and Lindsey that would have perhaps sounded better on their respective solo albums. Commercially speaking I understand why Christine was not invited to/chose not to record with the Mac for 'SYW.' As great as the band still is, they are not commercial top 40 radio material anymore. That market is dominated by the teen-early 30s crowd. This tour is proof positive that Mac makes its bread and butter on tour. The band made over $6 million in three nights in London. Combine that with the 47 North American shows, the rest of Europe and Australia and the band is likely to end the year somewhere around $80M. What if Christine had recorded with the band for 'SYW' but did not tour? Past Mac albums have proven that most of the band's commercially viable, radio-friendly singles come from Christine. And while 'Say You Will' has grown on me over the years I think I would almost prefer Stevie and Lindsey to go back to their respective solo careers unless an outside producer is hired. As musically genius as he is, Lindsey seems to become really full of himself once he goes into production mode. Christine's return would be spectacular, and while she's stated she wants to make music again, I think a return to Fleetwood Mac is unrealistic. I've enjoyed all their albums, and some of the EP. Any new music from them, in any form, would be greatly appreciated!